Many know Tim Rushlow as the lead singer for the country super group Little Texas. Between 1991 and 1998 the band charted with 20 singles on Billboard’s country chart including a number one for “God Blessed Texas” and “What Might Have Been”. When they went their separate ways Tim embarked on a successful solo career hitting it big with “She Misses Him”. 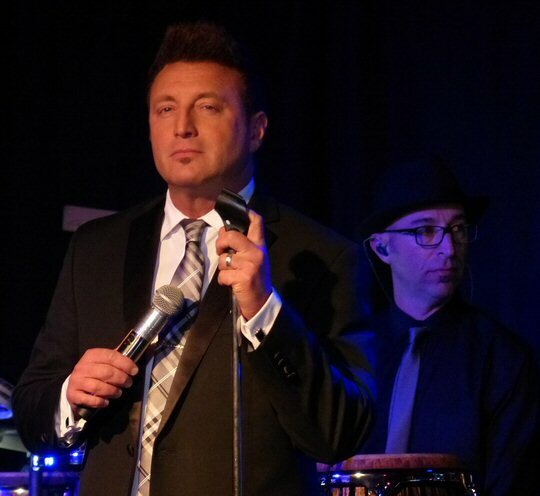 Yet, for years Tim has had a passion for big band music paired with a long standing desire to be a curator for the Great American Songbook by bringing the music of Bobby Darin, Dean Martin, Frank Sinatra and more to audiences of all ages. Tim Rushlow & His Big Band take up residence in Nashville. “I have been dreaming of doing this for years, but it just wasn’t time”, Rushlow says of plunging into a recording and touring big band career. “This is not a genre hop that’s been convenient for me. I’m not doing a one-off record in the jazz industry and cutting a country/pop record next year. This is a career move that I felt called to do.” Yet, switching musical styles was not the only big challenge that Tim has faced recently. Earlier in the year a series of seizures had debilitated the artist leaving him with concerns that he might not be able to sing again but thankfully within months he was back on the stage – bigger and better than ever – ready to present Home for the Holidays at the historic Nashville Palace located at 2611 McGavock Pike in Nashville, Tennessee in December of 2017. The Nashville Palace is a legendary honky-tonk located in Music Valley. For almost 40 years the venue has been the place to hear country music and in some cases future stars. Randy Travis, Alan Jackson, Lorrie Morgan and Ricky Van Shelton are some of the big names that started out at the Nashville Palace. However, in the month of December, Tim Rushlow & His Big Band has taken up residency in the Palace’s event space which has been transformed into a 1960s Vegas-style Supper Club. MusicCityNashville.org attended a performance of Home for the Holidays on December 08, 2017. We were greeted by a maître d dressed in a tux who led us to a table in a setting straight out of Bing Crosby’s “White Christmas” with Christmas trees, lights, streams of garland, linen table clothes and soft candlelight. Dinner was available as was a number of custom-made libations from the “Let’s Be Frank” whiskey and bourbon bar or the “Rat Pack Martini Bar.” The Palace doors opened at seven so we had about an hour to enjoy our meal before a dapper looking Tim Rushlow and his all-star, 22-piece Big Band took us back in time. They quickly won us over with a winsome “The Most Wonderful Time of the Year” and a spirited “Sleigh Ride”. Bailey Rushlow and DMB member Jeff Coffin added to the evening’s excitement. Throughout the evening, Tim chatted between songs sharing some of the history of this music which has been inspiring him since his youth. Rushlow mentioned that the next number had been shopped around in 1943 but no one wanted to touch it as it was a somber holiday song. However, Bing Crosby took on the piece sung from the point of view of a soldier stationed overseas during World War II, writing a letter to his family with it concluding on a melancholy note, with the soldier saying, “I’ll be home for Christmas, if only in my dreams”. Tim brought all the right emotions to this touching tune. Later, Rushlow presented a rousing version of “Rudolph The Red Nose Reindeer” incorporating some swing into his mix. For “Christmas Waltz” Tim invited his daughter who was dressed in an elegant evening dress to join him. Bailey proved that the apple does not fall far from the tree when later she sang a moving “At Last” solo. “Tough act to follow,” declared her proud Dad. In addition to holiday songs Tim Rushlow & His Big Band performed prime material from the American Songbook including “Let’s Fall In Love”, “Beyond The Sea” and a subtle “What Might Have Been”. They returned to Christmas with a swaggering take on “Santa Clause Is Coming To Town” along with another tip of the hat to “The Chairman of the Board” with a lively “The Lady Is A Tramp” and closing with “Mack The Knife.” Tim thanked Nashville for coming out to something different. 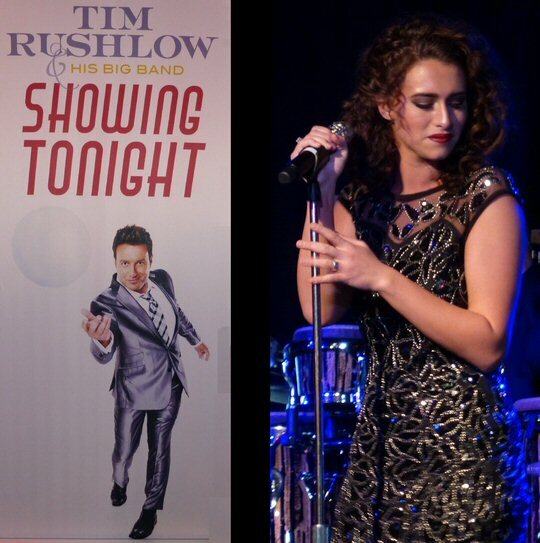 We were thankful that we had come to see Tim Rushlow who like the artists he pays tribute to is a true entertainer surrounding himself with some of the best players in town. Tim and his talented team took us back in time for an engaging yet educational evening of music. 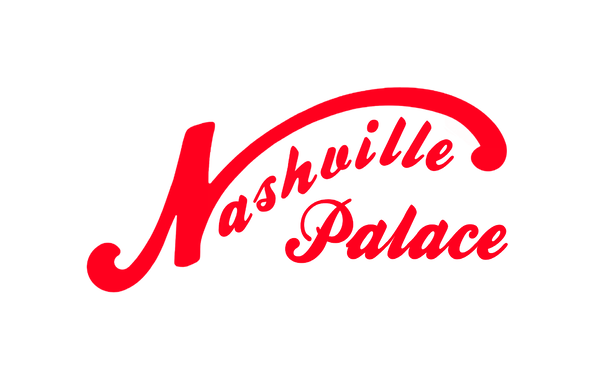 By hosting Tim Rushlow & His Big Band’s Home For The Holidays through December the Nashville Palace adds to their history and the vision of its original owner John Hobbs who hoped that the Palace would anchor the Music Valley entertainment district in the shadow of the Gaylord Opryland Hotel. Tim Rushlow is an established singer embarking on a new path thus able to draw a fan base to the event space while the bar at the Palace still serves as a proving ground for emerging artists. Tim Rushlow & His Big Band presented with passion and poise the musical romance and swagger of an earlier era when Christmas was classic so come on down to the Nashville Palace and experience it for yourself. It was a Christmas family affair at the Nashville Palace.